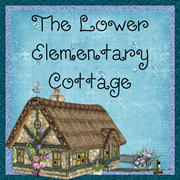 The Lower Elementary Cottage: NEW Earth Day Clipart! Giveaway Reminder! Guess what! The Spring Break countdown has begun!! In 4 days I will have 10 whole days of freedom! I'm super duper happy about the fact that our break starts on FRIDAY! In lieu of spring conferences, our school opted to extend spring and winter break by a day. Whoo Hoo! Although, I'm an over-achiever and will likely schedule simple conferences after school with my parents next month anyway. Secretly, spring conferences are my favorite! I LOVE showing parents how much the kids have learned. I'm super particular about keeping work samples and parents get so excited to see the jump in their kid's abilities and see how much they have learned. This week my kids will have the ENTIRE playground to themselves! Our school does overnight trips twice a year and 3rd-6th grade will be gone for 3 of the 4 days this week! My class will be going on our trip the week after spring break. Yep, you read that correctly... 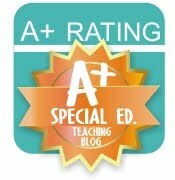 I am going on an OVERNIGHT field trip with K-2 SPECIAL ED! Oh geez... it's super fun, but I pretty much don't sleep. My record is 1 hour of sleep, usually I get about 3-4 hours. Between middle of the night bathroom trips, "I miss my mommy!" "what's that noise?" and my general paranoia that a kid will wander off into the woods while I'm sleeping, I just don't sleep. My buddy (extra chaperone/counselor) usually brings a car adapter coffee pot for the two of us! More on that when the trip gets closer... Have you ever done an overnight trip with your students? How did it go? My class will be doing a whole bunch of Easter activities this week. Be prepared for lots of pictures of cute little bunny and basket projects! I really love letting the kids decorate with the cotton balls! Is it just me, or do cotton balls instantly make projects cuter?! I am a crazy person and signed up for the CrossFit Games Open and did that yesterday, plus a full game of soccer this morning. If you're curious what that is, you can see it here. Anyway...I'm so sore and tired that I could hardly walk around the grocery store today. This lead me to being a bum productive person on my couch all afternoon. I am having SOOOOO much fun creating clipart with my new Bamboo! 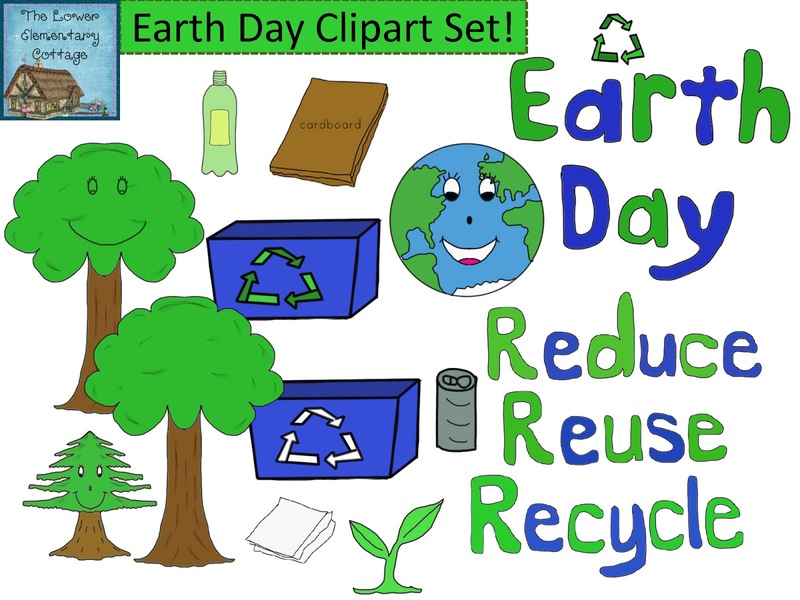 I want to make a new Earth Day emergent book and some hands on activities so I decided to make some new Earth Day clipart! 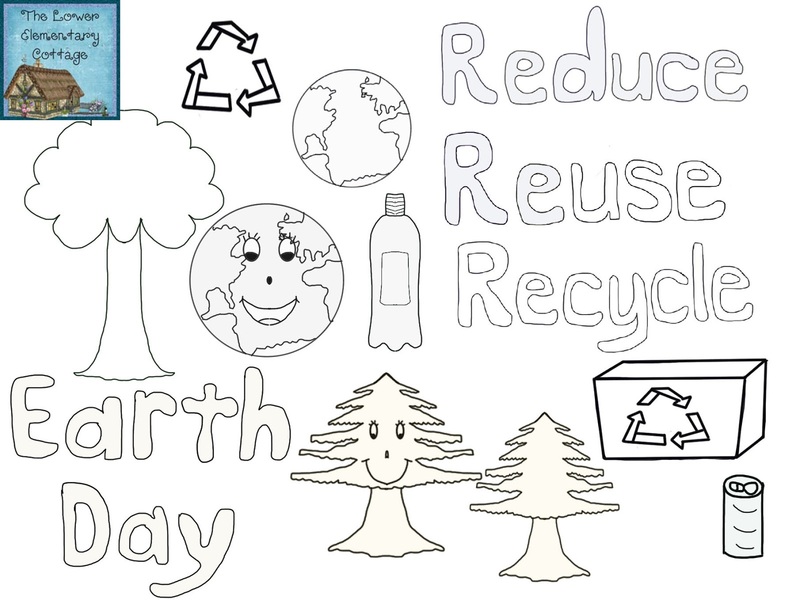 The clipart is available for you to use for your projects too! I drew them all myself, and I'm pretty proud of how they turned out. Not too shabby for my first weekend as a clipart artist! All those years of doodling in class has paid off! Haha! 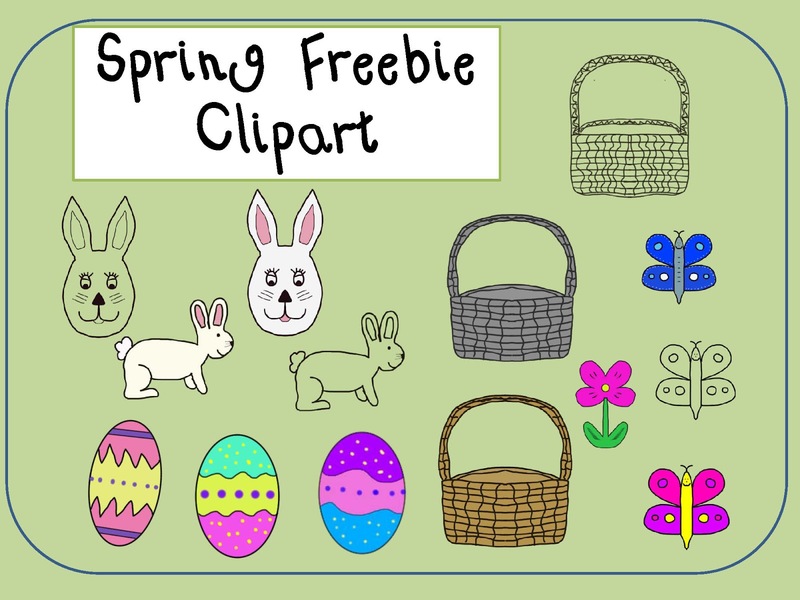 Yesterday I made my very first clipart set and it's TOTALLY FREE for you! I know the Manic Monday Rule is not to link to TPT, but small problem...this file is too large for my Google Docs! I don't figure you'll mind too much! Just click on the image below! I'd REALLY appreciate some feedback if you use it, just in case I need to improve some things. I was experimenting with different techniques and programs. Also, I'd love it if you sent me the links to things you create! Your clipart is adorable. I really wish I could draw. It is such a cool thing to be able to do. Thanks for the cute clip art.